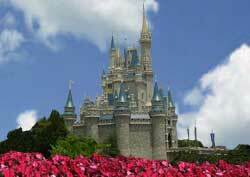 Over 25 million annual visitors make Walt Disney World in Florida the most popular entertainment destination on earth. Its energy and fun spirit appeal to kids of all ages, from 3 to 99. Walt Disney World (situated in Florida) is significantly greater in size and scope than its siblings, including the oldest of them all, Disneyland (California). The four components are physically close. All feature creatively inspired rides, performances and exhibitions. It is by far the most popular of the Walt Disney World elements. Its Space Mountain ride and Main Street parades are just two of its many engaging attractions. This park gives you a sneak preview of the future. It also has nation-sponsored expositions. Experience an insider's view of Hollywood film making. Top attractions include the Great Movie Ride and the Backlot Tour. Highlights include a safari ride through wild-animal occupied terrain and a 3-D presentation of a bug's eye view of the world. You'll need at least several days to do Walt Disney World justice.